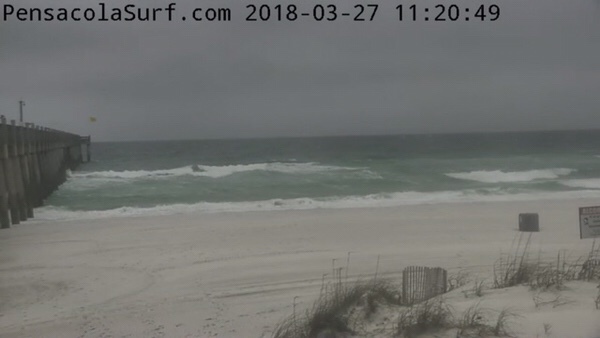 The waves are disorganized and drifty on Pensacola Beach in the waist to chest high range with some bigger sets. 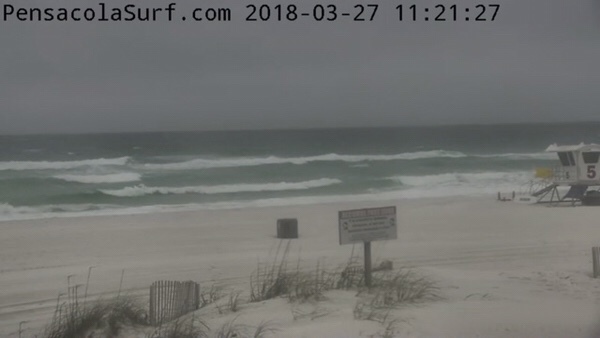 The buoys are showing 6- 7 foot seas though. 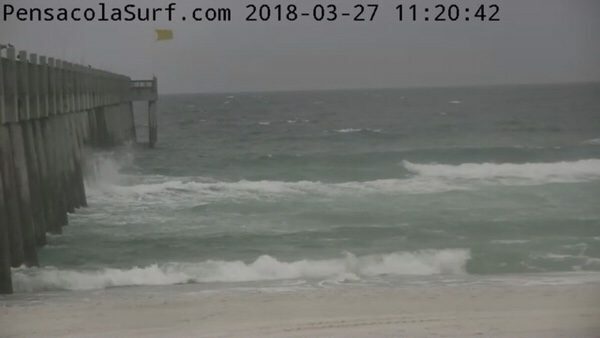 It could jump up if the winds become more southerly. Right now we have 15-20 mph Easterly winds with gusts up to 25 mph. 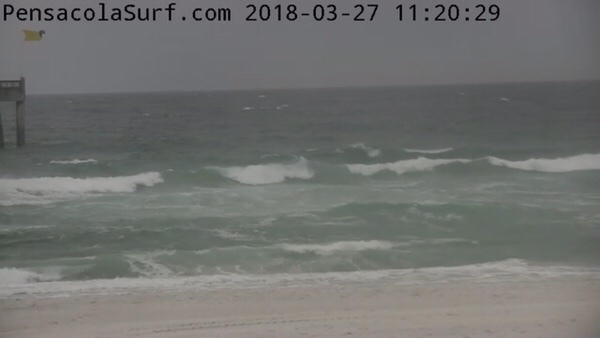 Find some shelter for rideable waves if you can. I will be traveling the next few days so my Report might become limited. Thanks for checking out these report though, I couldn’t do it without your support!